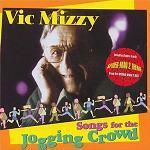 Vic Mizzy is best remembered for his TV theme tunes, particularly The Addams Family and Green Acres, though his musical output was much broader than this. The composer was born in New York learning Piano and Accordian as a boy, and he studied at the New York University. His early career started in the song-writing business working with lyricist Irving Taylor including songs such as "There's a Faraway Look in your Eye" and "Three Little Sisters" which were both sung by The Andrews Sisters, and the latter song was used later on the soundtrack of "Memoirs of a Geisha". Then with lyricist Mann Curtis he had a big hit in 1945 when their song "My Dreams are Getting Better all the Time" was sung by Doris Day with the Les Brown Orchestra. That writing partnership continued and enjoyed a number of chart hits including "The Whole World Is Singing My Song" also by Doris Day, "Pretty Kitty Blue Eyes" by the Merry Macs, "The Jones Boy" released by the Mills Brothers in 1954, and "Didja Ever" which was sung by Tony Martin on the Esther Williams film "Easy to Love". Mizzy made the transition from song-writer to television composer through his friend David Levy who worked at NBC and initially commissioned him to write a theme for the drama series "Moment of Fear". His early television work continued with the "Shirley Temple Storybook", "The Richard Boone Show", "Klondike" and "Kentucky Jones" before his defining work on "The Addams Family" which also came through David Levy. While working on "The Addams Family" Mizzy's film music career also started to take off, through his involvement in a series of vehicles for the comedian Don Knotts starting with "The Ghost and Mr. Chicken". 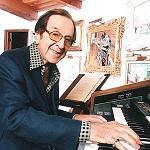 While he composed romantic songs, and background music for many different films and programmes, it is interesting that Vic Mizzy always seemed most at home with comedy where his musical wit married perfectly with the screen humour. 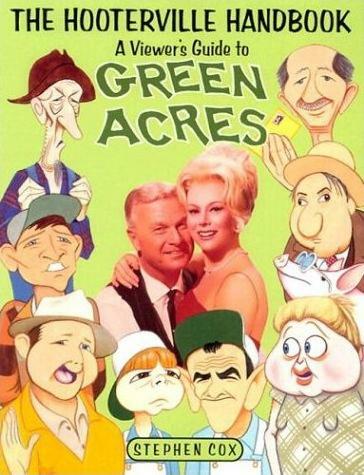 His next hit TV theme was undoubtedly "Green Acres" which (like "The Addams Family") also includes musical punctuation in the theme, though this time without the finger snaps. Mizzy continued to write music for television into the 1970s, though his output dropped during the 80s and 90s with some occasional work for TV or commercials. People may have thought that he had retired, but then he released an album called "Songs for the Jogging Crowd" in 2003 at the age of 87. This album includes some previously unknown tracks which are light-hearted satirical songs in a swinging 60s style. Also included are a remix of "The Addams Family" theme, and Mizzy singing along with Eddie Albert to the "Green Acres" theme, and the final track is the "Spider Man 2 Theme" which he wrote at the request of the movie's director Sam Raimi, to be used on the Spiderman 2 DVD. 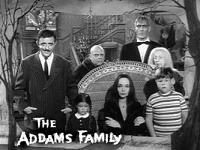 While "The Addams Family" was cancelled in 1966 after two series, Green Acres spanned seven years. Vic Mizzy talks about composing "The Addams Family" theme song, and jokes with the interviewer that at college he studied "Advanced Finger Snapping"
Spiderman 2 Song by Vic Mizzy used on the Spiderman 2 bloopers DVD feature and taken from the album "Songs For The Jogging Crowd"
Vic Mizzy scored a number of films himself, plus his songs and themes have also been used on several movies. The Phyllis Diller Show - also created by David Levy and sometimes known as "The Pruitts of Southampton"
The Munster's Revenge - a TV Movie based on a series not too disimilar to "The Addams Family"
There aren't many Vic Mizzy film soundtracks available, but "Don't Make Waves, Make Love" which is full of Swinging 60s kitsch is available at Amazon.co.uk and Amazon.com, on a "double feature" album where it is paired with "Penelope" by Johnny Williams (as John Williams was called in the early part of his career). Also look out for that more recent album released almost 4 decades later, called "Songs for the Jogging Crowd" which is available at Amazon.co.uk and Amazon.com. The Book which we referred to above is called "The Hooterville Handbook" and subtitled "A Viewer's Guide to Green Acres" by Stephen Cox. This has a chapter called "The Vic Mizzy Sound" and is available from these links Amazon.co.uk and Amazon.com.